My approach to igneous petrology involves integration of field, petrographic, and chemical data with the metamorphic and regional tectonic environment. Origin and evolution of granitic batholiths including Idaho batholith. Tectonic/structural environments for granitic batholiths. The role of mafic dikes in formation of granite batholiths. Major mylonite zones associated with batholiths and associated rocks. High-potassium alkalic rocks, including Central Montana High-Potassium Province. Radial dikes and laccoliths in volcanic environments. Granitic batholiths including Idaho batholith. Basin-scale basaltic sills, including giant Proterozoic sills of the Belt basin. Major mylonite zones in high-grade rocks. Hyndman, D.W. and D. Hyndman, 2017, Natural Hazards and Disasters, 5th Edition, Brooks/Cole, Cengage Learning, 570 p.
Hyndman, D.W., 1985, Petrology of Igneous and Metamorphic Rocks, 2nd ed., McGraw Hill Book Co., 786 p.
Hyndman, D.W. and R. Thomas, 2018, Roadside Geology of Montana, 2nd ed. Alt D. and D.W. Hyndman, 1983, Roadside Geology of Montana, Mountain Press Publ. Co. This was the original book in a state by state series of 6, by Dave and Don, including Idaho, Washington, Oregon, Northern (and later, Central) California, and Hawaii (Hyndman and Hazlett). The series by additional authors now covers more than 35 states. Alt D. and D.W. Hyndman, 1995, Northwest Exposures, A Geologic Story of the Northwest: Mountain Press Publ. Co., 442 p.
Foster, D.A., C. Schafer, C.M. Fanning, D.W. Hyndman, 2001, Relationships between crustal partial melting, plutonism, orogeny, and exhumation: Idaho-Bitterroot batholiths: Tectonophysics, v. 342,p. 313-350. 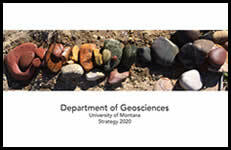 Tureck-Schwartz, K. and D.W. Hyndman, 1991, High-potassium igneous rocks of the Bearpaw Mountains, North-Central Montana, Montana Bureau of Mines and Geology, Special Publ. 100, p. 111-120. Foster, D.A. and D.W. Hyndman, 1990, Magma mixing between synplutonic mafic dikes and granite, Idaho batholith, central Idaho and western Montana, in J.L. Anderson, editor, The Nature and Origin of Cordilleran Magmatism: Geological Society of America Memoir 174, p. 347-358. Hyndman, D.W., D. Alt, and J.W. Sears, 1989, Post-Archean metamorphic and tectonic evolution of western Montana and northern Idaho, in W.G. Ernst, editor, Metamorphism and crustal evolution of the Western United States: Prentice Hall, Englewood Cliffs, N.J., p. 332-361. Hyndman, D.W. and D. Alt, 1987, Radial dikes, laccoliths, and gelatin models, Journal of Geology, vol. 95, p. 763-774.